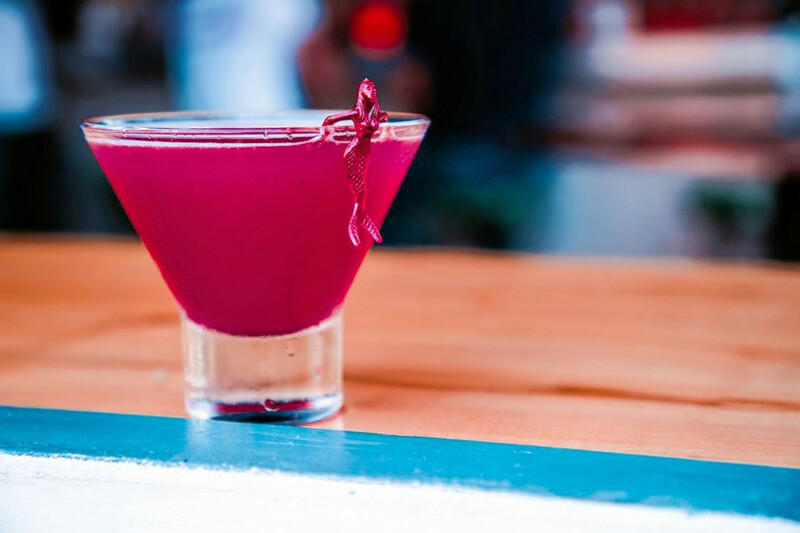 Looking to try the best tiki bars in town? Hoodline crunched the numbers to find the top tiki bars in New York City, using both Yelp data and our own secret sauce to produce a ranked list of where to venture when cravings strike. Topping the list is Reunion. Located at 357 W. 44th St. (between Eighth and Ninth avenues) in Hell's Kitchen, this is the highest-rated tiki bar in New York City, boasting four stars out of 635 reviews on Yelp. According to its website, the spot is named afterIle de la Reunion, a small volcanic island off the coast of Africa/Madagascar in the Indian Ocean. Frozen drinks include the Coco Loco, made with rum, coconut, pineapple, cherry herring and almond; the Mad Tropic, made with rum, Campari, strawberry, guava, lime and bitters; and the Mermaid, made with aged rum, mint, cane syrup and lime. Next up is Astoria's The Highwater, situated at 34-20 Broadway. With 4.5 stars out of 178 reviews on Yelp, the tropical restaurant and tiki bar has proven to be a local favorite. 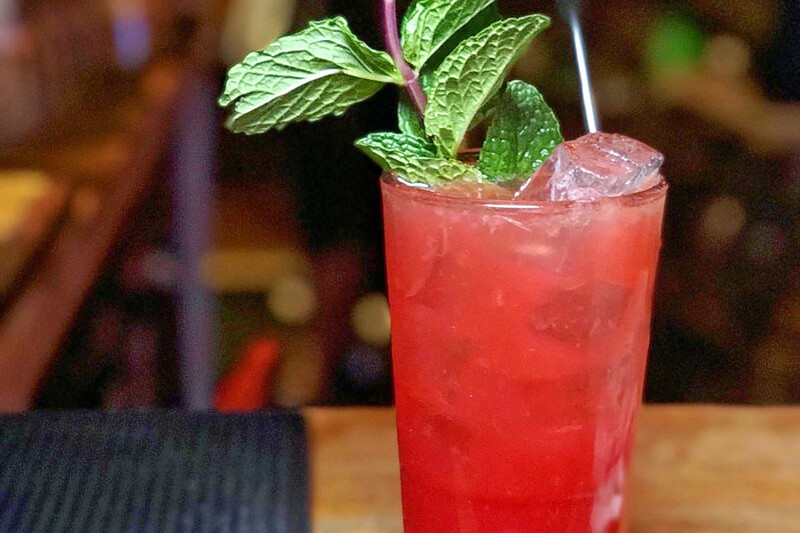 Visitors can expect drinks like Maui Mango, an American pale wheat ale; ciders like Austin pineapple; and an array of colorful cocktails. 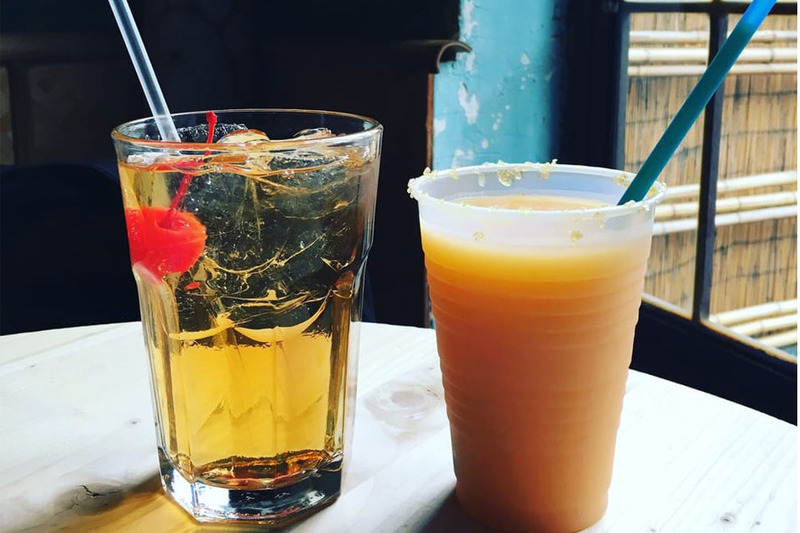 Zombie Hut, located at 273 Smith St. in Carroll Gardens, is another top choice, with Yelpers giving the small tiki bar four stars out of 478 reviews. According toNew York Magazine, "The walls are covered in bamboo and adorned with Polynesian masks and trinkets, giving off a true hut-like feeling." 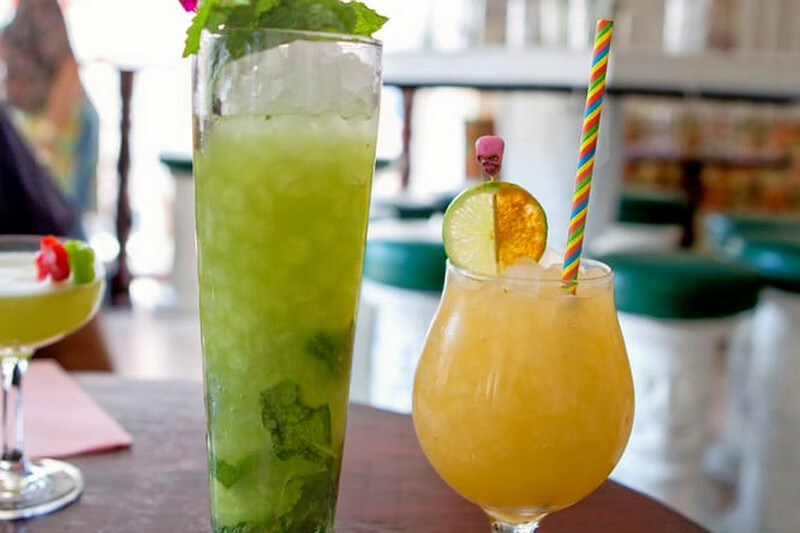 Drink options include the Frozen Zombie, a secret mixture of rums, orange juice, pineapple juice and more; the classic Mai Thai with rum, amaretto and pineapple; and the Bahama Mama with rum, coconut and pineapple juice. 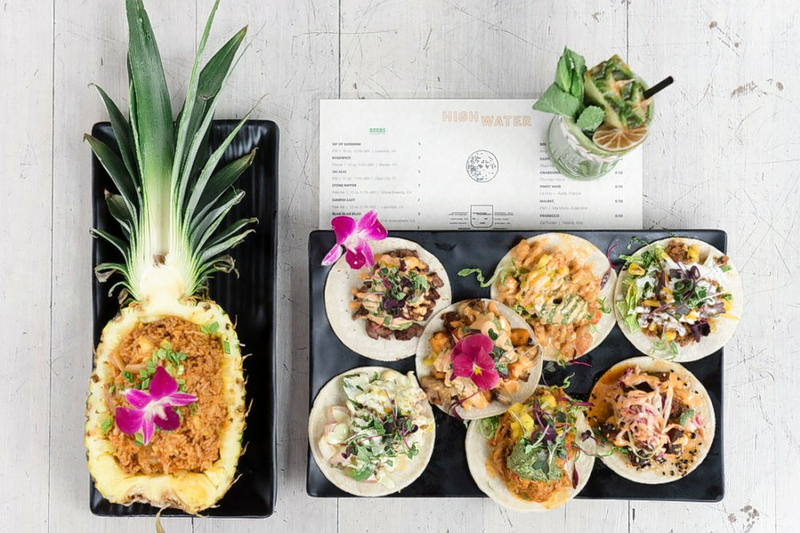 Mother of Pearl, a vegan-friendly tiki bar in the East Village, is another go-to, with four stars out of 329 Yelp reviews. Head over to 95 Ave. A to see for yourself. The drinks menu features cocktails, big drinks for two to three people, tropical nonalcoholic drinks and frozen daiquiris. Try the Sugar Cane Magik, made with coconut cream, pineapple, lime, almond and Ron Zacapa Solera; and the alcohol-free Orchard Island with green apple juice, lemongrass, lemon and coconut puree.